Meet em’ with bells on! Your friends, that is. Come on over to the newly opened Creek Bottom Restaurant on Country Club Lane on any Wed. or Thurs. 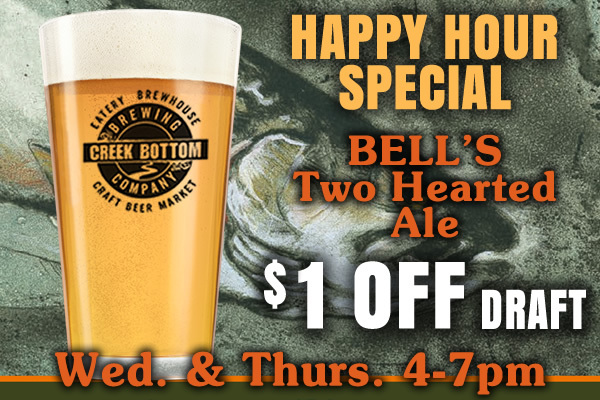 from 4-7 pm and enjoy Bell’s Two Hearted Ale for $1 off drafts (in other words, $4 a pint). For a limited time.